CV preparation is the first and most important step to get a dream job. A good CV can help to get you selected for personal interview. Did you know that it takes an employer a maximum of 7 seconds to go through your Curriculum Vitae? 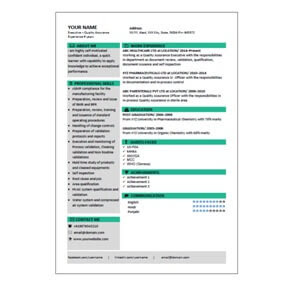 Employers receive numerous CVs for the positions they advertise. For this reason, they do not set aside a lot of time to go through each CV. Therefore, it is very important for you to write a CV that will not only make you stand out within the 7 seconds but also push the employer to contact you. Would you like to know how to write a good CV? If so, below are some tips that will help you write a powerful CV. Your CV should not have more than 2 A4 pages. You need to make it as short as possible. Since employers only take 7 seconds to look at your CV, they might not get time to go through the entire CV. However, this does not mean you should omit anything. Just keep the CV simple and straight to the point ensuring you include all the important details that will get the employer's attention. See details in my ebook "Write a Powerful CV". The first thing you should write immediately after your name, address and contacts should be your personal statement. Your CV is the only place you are not allowed to be modest. Tell the employer what makes you stand out and why you deserve the position more than any other applicant. This is very important because, in just 2 seconds, you are able to get the employer's attention. However, it is very important to make the statement attention grabbing. This is what will make you get the callback. See details in my ebook "Write a Powerful CV". One of the reasons a lot of people do not get call backs is the fact that they do not put a lot of effort in writing their CVs. Most people send one CV for all the jobs they apply for. This should not be the case. Every time you are applying for a new position, you need to write a new CV that is tailored to what the employer is looking for. Make sure your skills and interests match those indicated in the job advertisement and ensure your CV includes most of the things the employer is looking for. Employers appreciate this because it shows you paid attention to their advertisement and you are serious about the position. It is definitely something that will make you stand out since most applicants make the same mistake. See details in my ebook "Write a Powerful CV". When writing a CV, it is very important to go through it a number of times to ensure the grammar is okay. It is also a great idea to have a friend or family member go through your CV to check for any mistakes. Grammer can easily make you get rejected. It tells the employer that you did not take enough time to write the CV and it might seem like you do not want it as bad as other applicants. You should not allow such mistakes to make you lose job opportunities. See details in my ebook "Write a Powerful CV". Employers need to see proof that you have worked on similar or different projects and achieved results. For this reason, it is very important to ensure you include all the achievements you have had that are related to the position you are applying for. Explain the role you played in previous employment positions and how you helped in meeting goals and objectives. This will give the employer an idea of what they can expect from you. See details in my ebook "Write a Powerful CV". The other thing that makes you stand out from other applicants is your skills. Employers look for a candidate that is able to offer skills not many people have that would benefit their company. Therefore, it is very important to take the time to list all your unique skills. Do not overlook any skill when writing your CV. Include all of them because you might not know which one will make you stand out. See details in my ebook "Write a Powerful CV". In conclusion, a great CV is the one that includes a powerful personal statement, tailored to the position and includes all relevant and important information. Be creative and put a lot of effort and time into writing your CV. If you follow these steps, you will be able to stand out from other applicants and you will definitely get numerous call backs for interviews. Powerful means when you include everything in short. Read it again in detail and also look the sample CV which includes everything in one page for a 9 years experienced professional. It's nesessary to CV set on only single page?